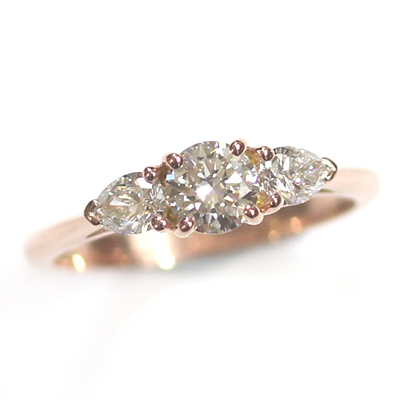 14ct Rose Gold Diamond Trilogy Engagement Ring — Form Bespoke Jewellers Ltd.
A stunning diamond trilogy engagement ring cast in rose gold. 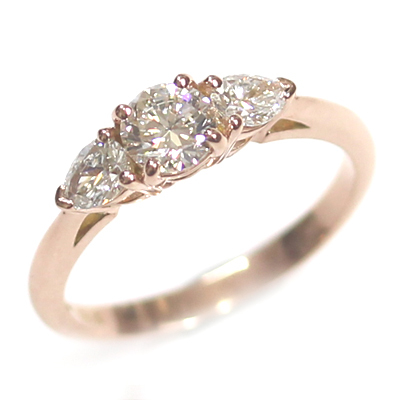 Rose gold is slowly becoming more and more popular with our customers which is so great to see. This stunning precious metal offers a warm tone to jewellery designs and compliments diamonds, rubies and pink stones beautifully. The customer knew they wanted to use rose gold for their partner’s engagement ring. They also decided upon a trilogy design with varying diamond cuts. After discussing a selection of different combinations, they chose a round brilliant cut centre stone flanked by pear cut diamonds which were hand set by our expert jewellers. They also added an open shoulder and open setting detail too. 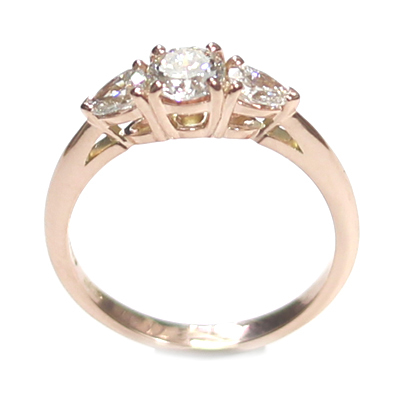 The result is a stunning bespoke trilogy engagement ring cast in a beautiful rose gold.